Flip a coin. 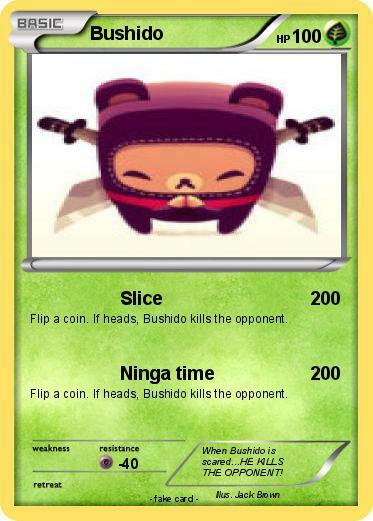 If heads, Bushido kills the opponent. Comments : When Bushido is scared...HE KILLS THE OPPONENT!